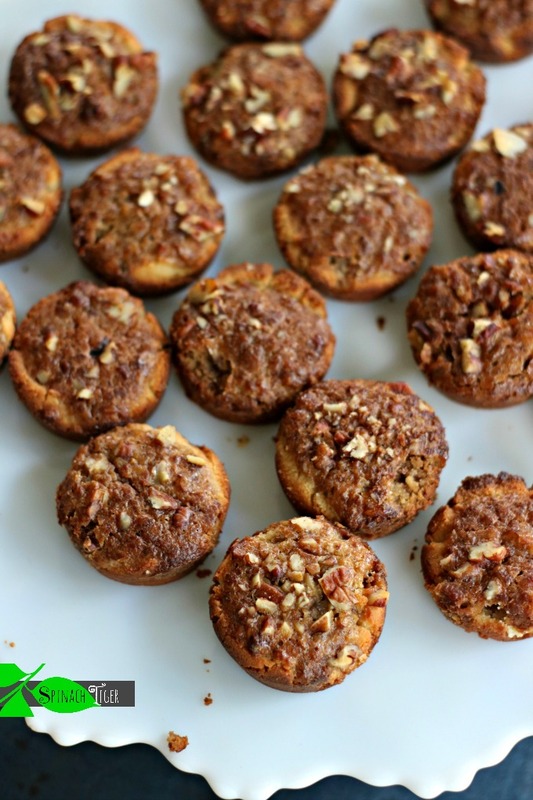 Grain Free Pecan Tassies are just as good as my original pecan tassies made here. 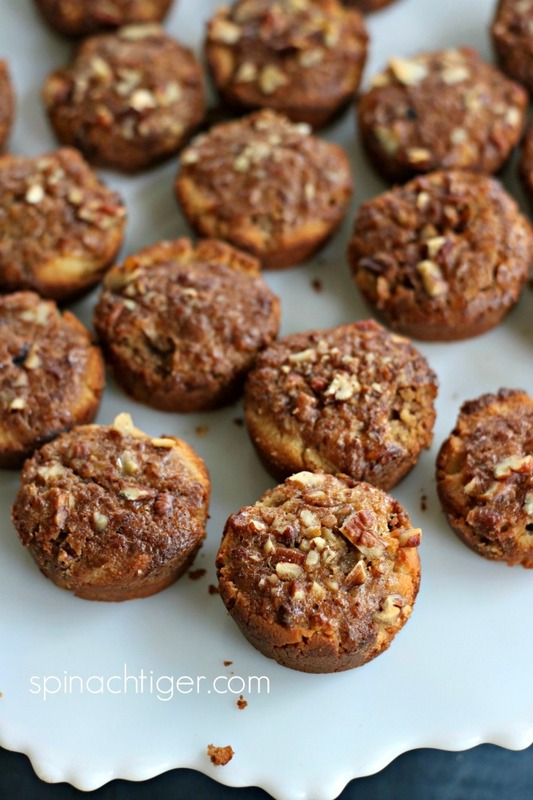 Pecan Tassies were the first recipe I ever blogged and have a very sentimental meaning for me. They are my favorite Christmas cookie. This is the sugar free, low carb version, but it’s just as awesome. I can hardly stop eating them. When I was a teenager, my brother and I lived only with my father. One Saturday night during the holidays a neighbor came over and showed us how to make Christmas cookies. No one baked in my family. No one ever made us cookies and without a mother at the time, life was harder, more lonely. We both felt low with abandonment and it seemed like such a treasure to have a woman come to our house to make cookies with us. I can picture my brother taking a spoon and filling each cookie with a brown sugar, pecan mixture. I remember feeling grateful that she took the time to write down the recipe and give it to me. Isn’t it astounding that it’s the small kindnesses that can fill a heart for a lifetime. She wrote out the recipe for pecan tassies on a little index card and I still have it. I’m not that person who saves a lot of things, but this held a very deep memory that was happy at a time those were rare. We baked until late into the night, and since both she and my brother are deceased, I feel a need to carry this tradition on. Each Pecan Tassie is 117 calories, 2 g carbs, 2 g fiber (zero net carbs) 3 g protein, 11 g fat. I’m so excited to tell you that if you eat low carb Swerve now has a brown sugar (amazon). The original pecan tassies recipe tastes more like a mini pecan pie but with more of a pastry feel, as the dough is made with cream cheese. This grain free pecan tassie is more like a pecan bun or cake. It’s delicious and it freezes perfectly. I made several test batches of Grain Free Pecan Tassies using the almond flour and we agreed that adding in a little bit of orange extract into the dough and adding cinnamon pushed the flavors more towards that orange cinnamon roll we love on Christmas morning. Spinach Tiger earns a commission fro Amazon. Does not affect price. The fantastic news is that these freeze so well. Just take out and defrost for 30 seconds for a quick treat, or go ahead and make all the cookies you want in advance so the holidays are easy. 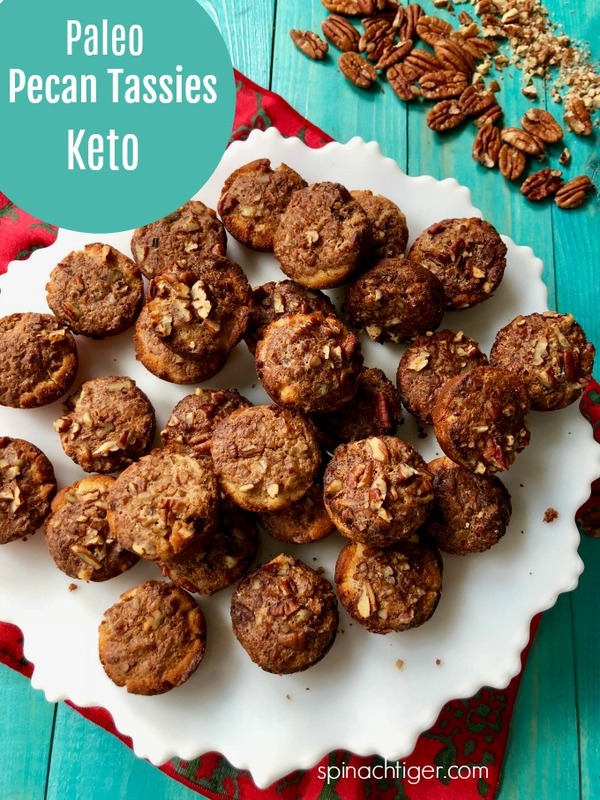 Amazing low carb pecan tassie often made at Christmas time, like a little pecan pie muffin. 2 carbs per cookie, 2 g, fiber (zero net carbs). Some of these ingredients include Amazon links, which I earn a commission on. Combine almond flour, cream cheese, butter, swerve, orange extract to make dough. Refrigerate for an hour up to two days. Mix swerve brown sugar, eggs, melted butter. Set aside. Chop ¼ of pecans for topping cookies. Chop remaining pecans very fine to mix in the egg butter mixture. Spray baking pan or butter, as dough can tend to stick. 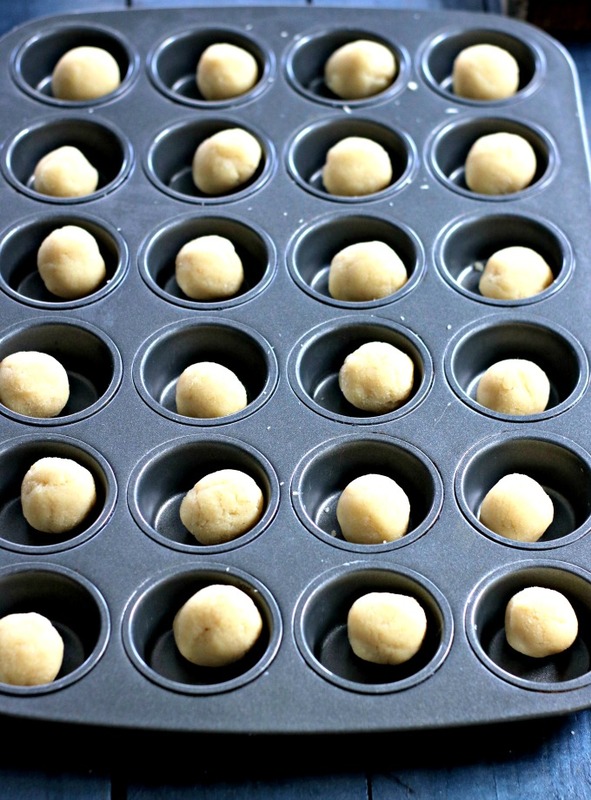 Put dough into mini muffin pan. You should get 24. Press into bottom and form a cup. Pour the nut mixture into dough cup and top with some of the chopped pecans. Bake at 350 degrees F. for approximately 20 minutes or until golden. This site earns a commission on amazon products that Spinach Tiger shares. This does not affect price. Flavor was good but had an issue with them crumbling when taking out of pan. I’m thinking on this and I just changed recipe to butter or spray the pan first. That should help. I have an issue with the sweetener becoming crunchy. Do you know if that’s just the nature of the sweetener or if I’m doing something wrong? Also think I’m definitely making again but I think I will try and use the paper or silicone cups. As I did spray my pan real good and had issues with sticking and crumbling. Thank you for this very tasty recipe. Do you mix all the dough ingredients together and then chill? You only say to mix the almond flour, swerve, and orange extract. Yes, I just fixed that. Thanks for catching. Can you tell me the nutrition facts for these – especially the carb count? I just put in the nutrition. Zero net carbs. 2 carbs, 2 g fiber.